Aaron Buzbee offers tips on the restaurant business to sixth graders at Lenihan Intermediate School recently. Sixth graders in the extended learning math program at Lenihan Intermediate School have been learning what it takes behind the scenes to run a restaurant. 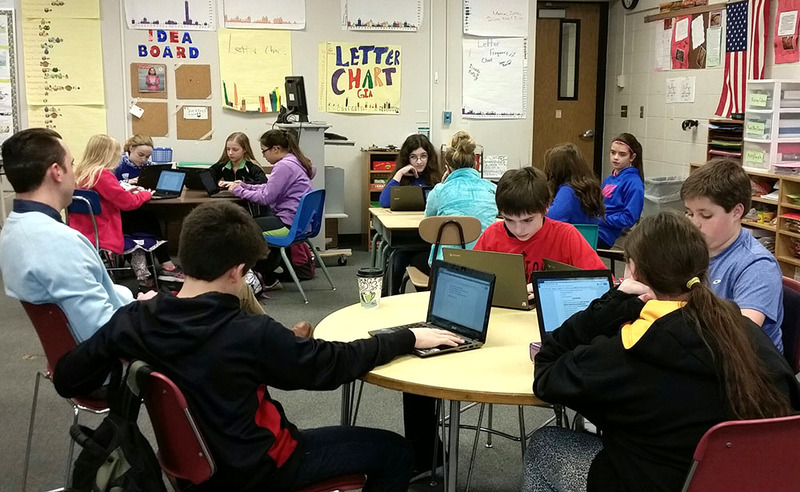 The class is working on a pop-up restaurant project in which students created surveys in order to decipher what types of restaurants or cuisines would be preferred among teachers and students at Lenihan. They analyzed their data and used the information to create their own restaurant. They were then given an imaginary budget of $15,000 to cover the start-up costs. Students were also given rental prices of spaces in Marshalltown. The students have had various speakers and entrepreneurs from Marshalltown join them to offer advice on rentals, inventory, budgeting, taxes and various other matters a restaurateur must consider. This week, Aaron Buzbee of Zeno’s Pizza talked to the students. Students asked a wide variety of questions about staffing, the purchase of materials and his background. 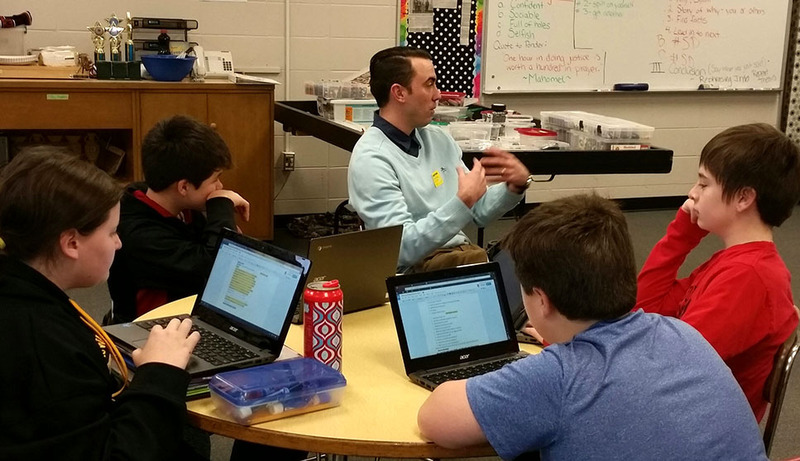 “Seeing a young businessman like Aaron making a difference in Marshalltown is a big inspiration to my students,” said Lenihan extended learning teacher Vanessa Engel. This restaurant project will continue throughout the school year with students working both in pairs and individually. Lenihan Intermediate School sixth-grade students research the restaurant business with help from local businessman Aaron Buzbee, left.